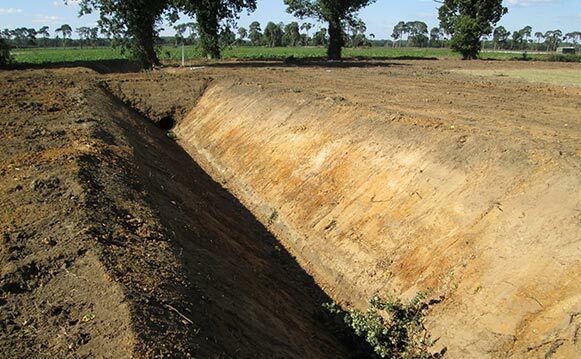 Ditching is a vital part of drain maintenance that is overlooked by many farmers. Knowing the location of all the field outfalls is critical for the performance of the drainage scheme. Badly choked ditch systems lead to flooding upstream and a well maintained ditch kept to the original dimensions will not increase the flood risk further downstream provided those downstream are in good condition. 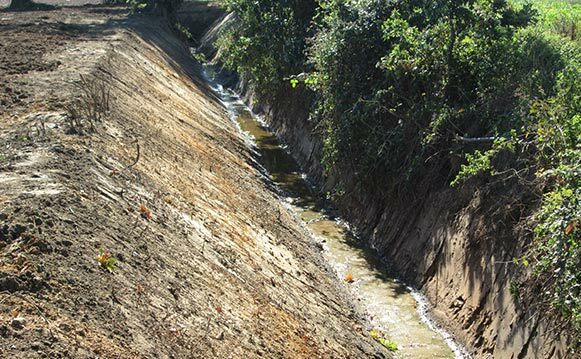 If these outfalls get embedded in the soil through neglect then the system will fail to work effectively, which is bad for the system and bad for the field. 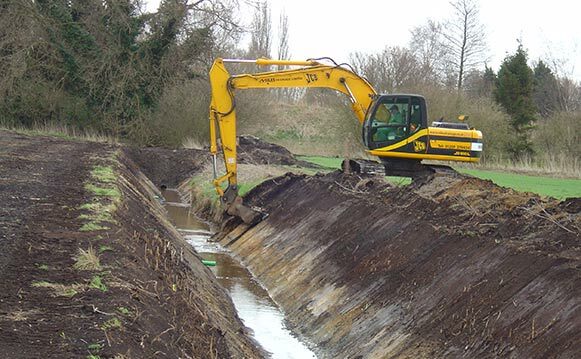 We provide a ditching service that is used by not only farmers but also by councils and other civil contractors to either carry out maintenance or to install a new ditch system to carry water away from the fields. We work very closely with various councils and IDBs to ensure that we provide the best service for the client possible. 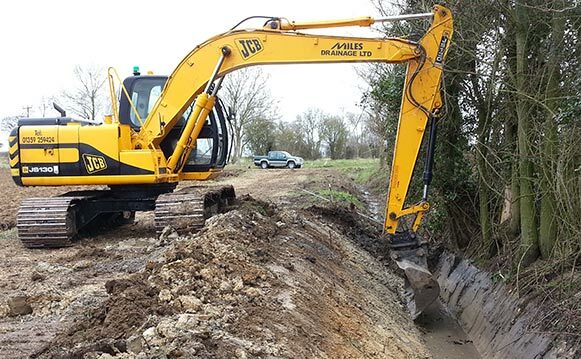 We have the equipment to work on ditches of any dimensions and can spread the spoil or have the spoil carted away dependant on the clients wishes. Remember, drains drain a field, ditches carry that water to the river.